Offer more applications, produce them fast and efficiently, and lower your operating costs with a 3.2-meter LED printer. This technique surpasses the intense color saturation seen in traditional photographic backlits, as is best used for brightly-lit light boxes that require more color saturation than a standard day/night print. This two-layer technique can be used for enhancing color or adding richness to blacks. It can also be useful to maintain selective density when printing on porous materials. An advanced application, EFI’s enhanced backlit technique is a variation of the normal day/night backlit print. This technique is a variation of the day/night backlit print. By creating a different file for the back layer, the front layer’s appearance is enhanced or altered when backlit. 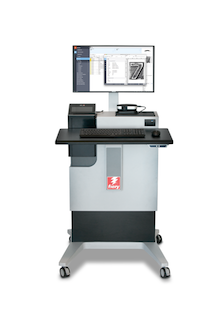 Signs By Tomorrow Maintains competitive edge with an EFI VUTEk GS3250LX Pro printer. When it came time to replace their rigid-media printer, Austria’s Trevision chose flexibility. They chose a printer, the EFI™ VUTEk® GS3250lx, that could handle both rigid and roll-to-roll media which increased their capacity while expanding their capabilities. This white paper explores how printers can capitalize on some of the newest wide format print opportunities in today’s evolving industry. An extensive wide format product line can enable sign, graphics, and visual communications companies—including printers—to expand their offerings and penetrate new and emerging market segments.